When I decided to help with the Rainbow Brite website, I knew that what I wanted was the find out all the Rainbow Brite mysteries and create a reliable source of information fans could depend on. From writing to individuals involved with tiny details about the products, the television show and more I knew it would be worth it to uncover and find new rainbows to share with others. The websites most recent acquisition of information has uncovered so many new rainbows we are in a virtual color cave of color crystals about the burst! But if you are going to create a website about a subject it DOES take a lot of work. But in the end it is worth it for everyone who is helped or made happy by the information that is found. I want to give anyone who is thinking about researching their own subjects a new resource they probably didn't know was there. This resource is the Library. At your own local library you can use their newspaper archive to find original advertisements and announcements to tons of 80's properties. However one library is very important and special. That would be the Margaret Herrick Library, which is a part of the Academy of Motion Pictures Arts and Sciences. You may have heard of them. They do the Oscars. The Margaret Herrick Library is located in Beverly Hills, California and archives nearly anything in movies and tv. It was here we learned of the "Howard R Cohen Papers". Howard R Cohen is the writer of many of the later Rainbow Brite specials, tv show and film. Many of his papers were given to the library and are in the "Special" Collections section of the library. Being part of the "Special" collections, we had to ask permission to review their resources. The notes from the collection included details such as dates and character descriptions and story outlines. We cannot reproduce the information exactly due to copyrights, but the information will be summarized, listed and the source cited on articles where the information is used. 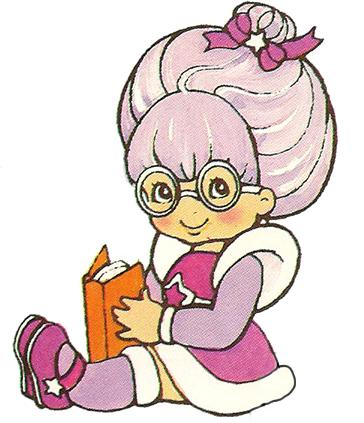 For example: Some of the information we uncovered was a cast list for one of the Rainbow Brite Episodes which uncovered the actress chosen to play Moonglow and Tickled Pink. This ended up being Rhonda Aldrich who played the Evil Princess in the feature film. Your local library will have a section for their news papers on film. I recommend holiday papers (November/December) for those researching toys or other kids properties. For those who want to more in depth research in to film or TV Media please check out the Margaret Herrick Library. Please be sure to review their hours and on site rules when requesting or visiting to assure a pleasant and productive visit. A special thanks to the Margaret Herrick Library and their wonderful staff for allowing us to research the Rainbow Brite information. The information disclosed in this article is part of the Howard R Cohen Papers Special Collection located at the Margaret Herrick Library. Note: Special Collections access is given for research purposes only, copies of the information is not permitted for private collections. Full copies of scripts are not permitted due to copyrights and all of the information was researched from the above mentioned collection but was not quoted or copied directly from it.